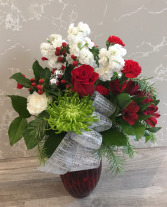 Beautiful elegant vase of Christmas flowers will delight everyone around. 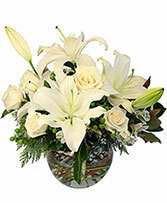 Filled with fresh fragrant roses,stock berries, mums and carnations with greens. 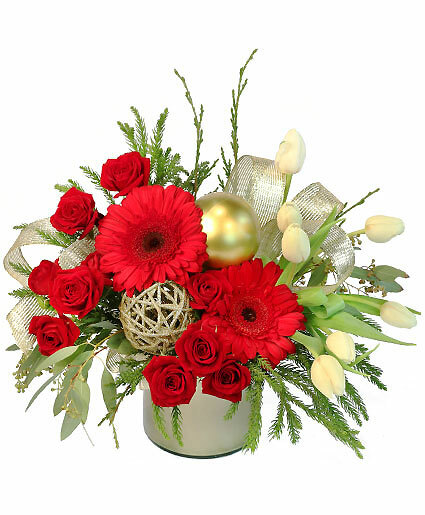 Large bow finishes off the look with red vase to match the flowers.